Amongst other things, Tasmania has a particular problem with gorse plants becoming a noxious weed and they can normally be seen wherever you turn along the Midland Highway. Over the years, this evergreen has caused many problems for farmers and has spread ever since it first arrived with Europeans. With just 800,000 hectares of land in Tasmania, the infestation is said to have reached 100,000 hectares this year, which is well over 10% of the available land. As you can see, this is a major problem but two local businessmen believe that they have found the solution by harvesting the gorse and then selling it as fuel to China. 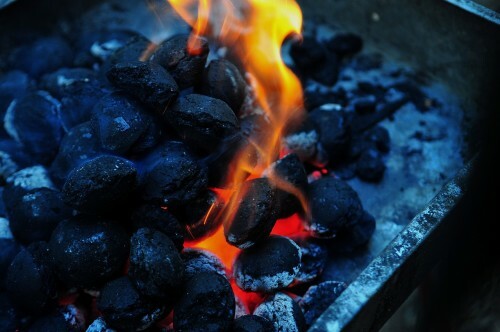 Essentially, Mr Boland and Bennett think that it can eventually replace coal for the barbecue market. In China, barbecues are a popular method of cooking and the gorse plants can be harvested before then being converted into biomass fuel. Already named ‘Gorse Power’, the two say that it is nearly smokeless when burning and are so confident that they are already building a factory at Conara. In total, 20 people will be employed to transform the gorse into ‘barbecue bricks’. As mentioned previously, the supply is almost limitless at the moment and, because it is a marketplace solution, the federal government isn’t going to have to spend millions of dollars just to have the problem solved. After the gorse bricks have been created, they are predicted to cost less than coal and this green alternative could see interest in China as well as at home. Every year, people are choosing greener alternatives in everything they do and this could be the next step for this. If all goes to plan, the factory is set to be completed in 2018 and exports to China could even begin the same year. For the market within Australia and the economy as a whole, this could be great news but the positives spread even further. On weekly flights, it has been announced that fresh milk will be leaving Tasmania for the Chinese market. Since Van Diemen’s Land Farms (VDL Farms) is owned by the Chinese company ‘Moon Lake Investments’, this plan will see 10 million litres of VAN Milk reach China after leaving Hobart Airport. At first, this milk will leave once a week but, if the plan proves to be a popular move, could soon be increased to three flights per week. For VDL Farms, this could be a huge deal but it also brings excitement and opportunity to local producers of seafood, vegetables, and fruit. If there is demand for it within China, all parties involved have revealed plans to expand their milk product lines as well as introducing yoghurts and more products for China. With these two pieces of news, it seems as though the future looks bright for Tasmania and it remains to be seen how successful each idea will be. If they go well, it could mark the beginning of a long and beneficial trading agreement between Tasmania and China.